I would like to tell you all that I have written 5,000 words of The Children’s Tale and I would if I could! The next week or two I fear I will be setting up a new website. through no fault but my own neglect I have lost my old one. I have backups of all the posts, aren’t I good girl:) however I began the website in 2009. do I want to put them all up on the new site? Am still wondering. Looking through the older posts I see some of them would still be relevent today. so with bringing up to date I may well re-cycle a few. When I have established my new site I will have to begin the slow business of uplifting them, hopefully in the same order. I was disappointed with the loss at first however, thinking on it, saw an oppotunity to have a change – after a change is as good as a rest isn’t it? it is too easy to get stuck in a comfortable rut. Quite looking forward to tinkering again:) I will have to apply some speed as I am hoping the weather has finally changed for the better so the garden can be fixed. The garden is throwing tantrums daily at my neglect, telling easterly winds and biting cold is no longer a good excuse to stay indoors! Am going to spend some time looking at designs tomorrow – see if I can find one I like. 1) WRITING: I managed a short story for the writing group I belong to, which I am happy with. Drafted another which I think has potential. 3) READING: Two books for local reading groups plus one for myself. Have now read 36 books this year. My childhood was full of good advice and was surrounded by books from all ages with a free pass to read whatever I wished. Great childhood. It might seem that I took all advice on aboard as a dutiful daughter should. I didn’t. I did listen to those like my Gran’s and parents because, in modern parlance, they were quite cool. I looked up to them and accepted that in most things they knew more than I did. However, with that free pass to books I also found my own authors and my own quotes, took my own decisions. Not always with their approval! I am bad at English, at grammar, spelling and punctuation. I have discovered (after retirement) that a great deal of it all is due to Dyspraxia which no-one knew I had all those decades ago but that’s by the by – I struggled, drowning in a chaos of confusion and extra tuition. Mark Twain came to my rescue, much to Dad’s dislike. Mark Twain (along with Lewis Carroll’s Alice in Wonderland) helped to undermine his patient teaching. He admired them both, as did the grandparents. Dad told me I was being selective, I was old enough by then to point out so was he and not get frowned at. Some books have more value than others. Some writing is superior to others. Classics are better than pot boilers. Books are better than comics. If one is going to read it should be a worthy book. These are not discussions about those books which incite hatred or evil deeds. Nor about those text books which knowingly feed the reader false or even dangerous information. And books which come under censorship is a whole different discussion. These are discussions about reading for pleasure,for escapism. Now there are many books I dislike, wouldn’t give house room to or do nothing for me. This is not because they are bad books but because I personally don’t care for them. S0, why is it considered ‘good’ reading to tuck oneself up with a classic but people are made to feel slightly apologetic to do the same with a bodice ripper romance. Why should one genre be deemed superior to another. It is good to read – in my opinion. 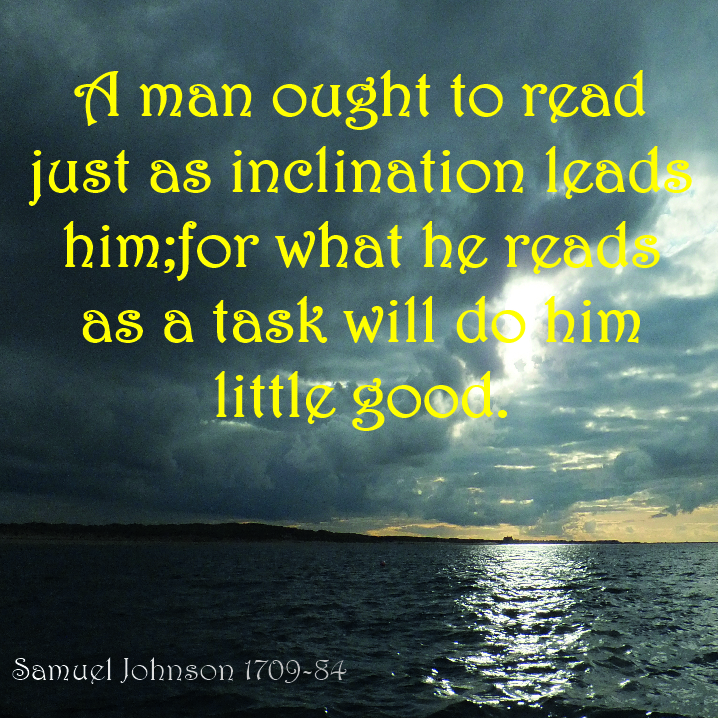 The skill of reading enables people to navigate this literate world more easily. It is good to read for escapism or pleasure if one wishes too. The written word can open up horizons, show alternative worlds and lifestyle. Can inform and entertain. One need never be alone if one can read. However, it is the act of reading which is good. I am not renowned for my fashion sense, never have been – well maybe I tried back in the 60s! I dress in whatever I feel comfortable with. I extend that to life in general and so tend to read whatever I feel comfortable with, I do have a fairly catholic taste so it’s a very wide comfort net – occasionally I will embark on a reading challenge that leads me away from that comfort, just to ‘challenge’ me, or in the book groups I belong to I will be required to read books that I don’t normally read, and have discovered new authors and genres to add to my preferences.But this is me, I’m a bookworm an addict if you like. Others like my sister has a genre or two at most which they feel most comfortable with, that is her. we both gain immense enjoyment from our different tastes. I have read so many different types and styles of books since I first spelt out words on a Cornflake packet. Many are forgotten but more have enriched my life in some way or other. When children learn to read the sense of magic is all around, squiggles on paper have meanings. Adults can guide and encourage of course; but if the children are comfortable pouring over a comic what is wrong? the words are there, they are enjoying and learning at the same time. If as they grow older they only want spies or romance, what is wrong? If they only want erudite and mostly incomprehensible tombs (to many of us anyway) what is wrong? We should not judge others by what we read, we should applaud the fact that we can read, have access to a wider world, have a chance to live out our hopes, dreams, terrors and fears within the safety of those pages. 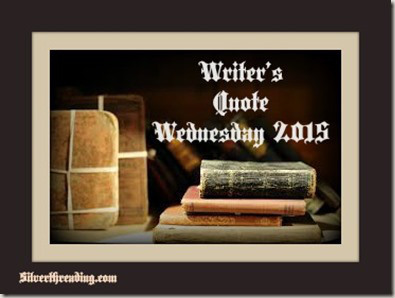 This quote is part of Silver Threading’s Writer’s Quote series. Writer’s who have helped inspire my writing. To write one must engage with the world around. Imagination is not the everything, imagination needs feeding with experience and observation. Life is what feeds writers.